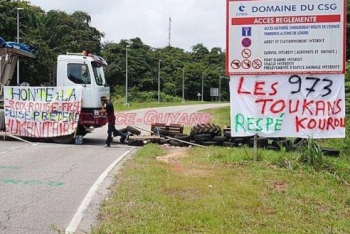 This mission was originally set to launch in March, before a local “social movement” – effectively a local strike, as much as locals refuse to allow such a description – halted all operations at the Kourou facility. The CSG-centric strike was led by the ENDEL workers, protesting in relation to the yearly collective accord negotiations. These were joined by the transporters’ union UGTR, protesting against their foreseen reduced role in the spaceport with Ariane 6. 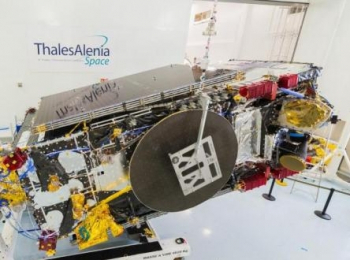 This mission, designated Flight VA236 in Arianespace’s launcher family numbering system, was the seventh all-Thales Alenia Space mission, as both satellites were built by this manufacturer. This was the fourth launch of the year for Arianespace, the second for the Ariane 5 which will now have to play catch up on its 2017 manifest. The mission’s total payload lift performance was 10,289 kg. – with the spacecraft heading to a geostationary transfer orbit. SGDC is the mission’s upper passenger and has a liftoff mass estimated at 5,735 kg., with KOREASAT-7 installed as the lower passenger with a mass at liftoff of approximately 3,680 kg. Equipped with Ku-band and Ka-band transponders, it will have a liftoff mass of approximately 3,680 kg. and is built on an upgraded Spacebus 4000B2 platform. 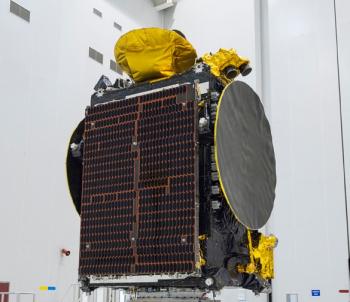 The satellite’s added steerable Ka-band capacity is designed to support further demand in relay services. Once in its orbital slot of 116 deg. 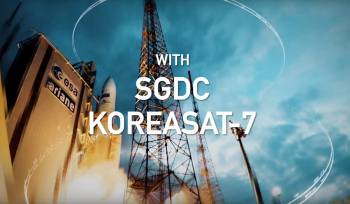 East, KOREASAT-7 will be operated by KT SAT – a wholly-owned subsidiary of KT Corp., which is the largest telecom/media service provider in South Korea and the country’s sole satellite service provider.